Saving For Your Future » Investing » Wealthify Review – is it the right investment choice for you? Wealthify is a UK based independent robo-advisor which invests in ETFs to keep clients' investment management costs to a minimum. Similar to other robo-advisers (such as Nutmeg, Moneyfarm and Wealthsimple) Wealthify uses an automated process to create portfolios that align with a client's appetite for risk. In October 2017 Aviva, one of the largest insurance companies in the UK, acquired a majority stake in Wealthify. It was yet another example of an established financial institution acknowledging that robo-advice firms like Wealthify represent the future of investing in the UK. The biggest challenges facing robo-advice firms are gaining funding (from financial investors) and client acquisition. As they charge their clients such low fees their profit margins are very slim so they need to acquire large numbers of customers in order to become profitable. The arrival of Aviva should soothe that headache for Wealthify as it can now be promoted to Aviva's extensive client database. Wealthify has a team of investment experts who have developed an investment process that uses algorithms to select the best funds and create an investment plan that suits the client's attitude to risk. The Wealthify investment team then continuously monitor and adjust a client's portfolio to maintain their investments in line with their attitude to risk. Clients can keep track of their investments online on PC, tablet or phone via the Wealthify app and can add or withdraw money with just a few clicks. So far so good. An investment can be made with a minimum of £1 and additional investments or withdrawals can be made at any time. This minimum investment level puts Wealthify on a par with the likes of Wealthsimple who also allow you to open an account with just £1. By contrast both Moneyfarm and Nutmeg require a minimum investment contribution of £500. Scalable Capital, on the other hand, requires a minimum contribution of £10,000. No charges for opening or closing accounts so you could move to another service if you become unhappy in the future. 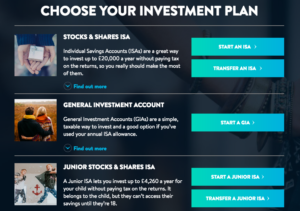 When you open an account you first have to choose between a general investment account, a Wealthify Stocks and Shares ISA or a Wealthify Junior Stocks and Shares ISA , as shown in the screenshot below. If you have not used your annual ISA allowance then it would be preferable to invest via a Wealthify ISA as any income or capital gains will be tax free. I chose a Stocks and Shares ISA. Now usually with most robo-advisers they first require you to complete a risk profiling questionnaire of some kind before providing a sample portfolio. In this regard Wealthify is much slicker than many of its peers as you get straight into building an investment portfolio. Once you've chosen the plan type you want (i.e an ISA) you are presented with a 'Create Your Plan' page as shown below (click to enlarge the image). The user interface of this page is very good with the use of scroll-bars to set your investment amount, how long you want to invest for and the level of investment risk you are happy to take. You are then presented with a projected value for your investment by the end of your stated investment term, but of course this is not guaranteed. You can then choose to see how your plan will be invested and you will be presented with a portfolio like the one below which shows you the types of assets Wealthify would invest in on your behalf (click to enlarge). You can see from the screenshot that I went for a 'confident' investment style, or in other words Wealthify's medium risk portfolio. It is fairly cautious with around 50% of the assets in low risk investments such as cash and bonds while 43.8% is invested in equities. In my review of Wealthify in 2018, the same portfolio had only 28.5% invested in equities and I commented then that I would have expected it to have closer to 50%, something that Wealthify has since gone on to change. This new asset mix is closer to that of other robo-advisers such as Moneyfarm and you can see my Moneyfarm review) here. Depending on your answers you can in fact be rejected by Wealthify on the basis that investing is not suitable for you, if for example you have no savings and high levels of debt. This is kudos to Wealthify as investing isn't for everyone and shows that they are living up to their moral and legislative obligations. Of course there is nothing to stop you changing your answers to ensure that you can still invest with Wealthify but that is true of any robo-advice service. Assuming that you pass through the screening process you can then fund your investment online. What products does Wealthify offer? As well as a general investment account, Wealthify offers a Stocks and Shares ISA and a Junior Stocks and Shares ISA which, along with the minimum investment of £1, makes an ideal starting point for new investors. At present there is no Wealthify pension. That's not unusual for a so-called robo-advisor and Nutmeg, Moneyfarm and Wealthsimple remain the only robo-advisors that do (you can find out more about the Nutmeg , Moneyfarm and Wealthsimple pensions - in fact Moneyfarm will even offer a £100 bonus if you open a pension with them). What is Wealthify's investment strategy? Wealthify invests mainly in passive investment funds such as Exchange Traded Funds (ETFs) and Mutual Funds. The mix of funds in a client portfolio will depend on their attitude to risk and is monitored constantly to ensure the mix of funds still reflects the client's investment goals and the portfolio they selected during the account opening process. How does Wealthify manage its portfolios? Wealthify manages portfolios with a mixture of automated and manual systems to create and monitor client's portfolios. Global markets are constantly monitored using computer-based algorithms which is a cost-effective strategy allowing clients to invest with lower fees. In addition to the automated process Wealthify experts use their knowledge and experience to make adjustments to client portfolios where appropriate. In this regard they are just like many of the other robo-advice services such as Nutmeg, Moneyfarm and Wealthsimple. Wealthify's annual fees vary between 0.4% and 0.70% depending on the value of the investment. In terms of cost Wealthify is now very well-priced for all investors. In my 2018 review, I remarked that Wealthify were less competitive for investors with over £500k, but they have since reduced their fees for those wishing to invest over £100k from 0.50% to 0.40% . In addition to the Wealthify fees stated above there is an average fund charge of 0.19% which is typical for a robo-advice firm. 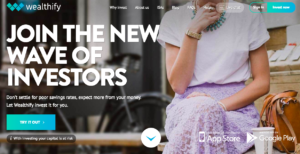 Wealthify has also introduced 'Circles' which is its take on a loyalty scheme and is designed to reward those that refer family and friends in return for further discounted fees. When a Wealthify account is opened a 'predicted value' figure is provided which indicates the potential value of a client's investment over a period selected by the client. This is not a guarantee and I'd argue that it is of limited use. 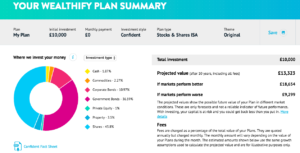 Wealthify have 5 investment plans (Cautious, Tentative, Confident, Ambitious & Adventurous) whose performance is monitored regularly against industry benchmarks. But more importantly, how does the Wealthify performance compare to other robo-advice firms? Based on the data above Wealthify performed well at higher risk levels during 2018, which was a bad year for equity markets (this may not be surprising given my observation of Wealthify's generally more cautious portfolio allocation earlier). Given how impressed I was with Moneyfarm's overall performance (see my Moneyfarm review) Wealthify customers should be able to sleep easily, as long as they aren't invested in its cautious portfolios. What other services does Wealthify provide? 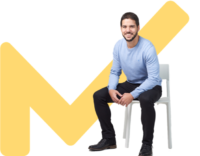 Wealthify is not regulated to provide financial advice to their clients but investments up to £50,000 are covered under Financial Services Compensation Scheme (FSCS). 'Great website. brilliant customer service-respond quickly to any concerns. Wealthify provides a value for money, hassle free passive method of investing in the stock market and is ideal for beginners given that you can start investing with as little as £1. Its charges are very competitive for both smaller and larger investors. It's worth bearing in mind that there is no reason to not invest with more than one robo-adviser, to stop you having all your eggs in one basket (although you can only open one Stocks and Shares ISA each tax year). As with other robo-advice firms (with the exception of Scalable Capital) Wealthify's tiered charging structure is their attempt to discourage you from doing this. Wealthify, or any other robo-advice service for that matter won't suit those wanting to be more involved in how and where their money is invested. If you want to take a more hands-on investment approach which empowers you to run your own money and make your own fund decisions then have a look at my 80-20 Investor service. 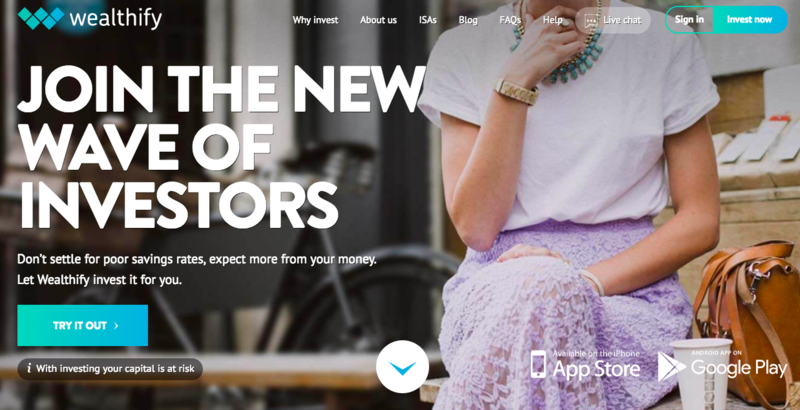 evestor Review – is this the best robo-adviser in the UK?